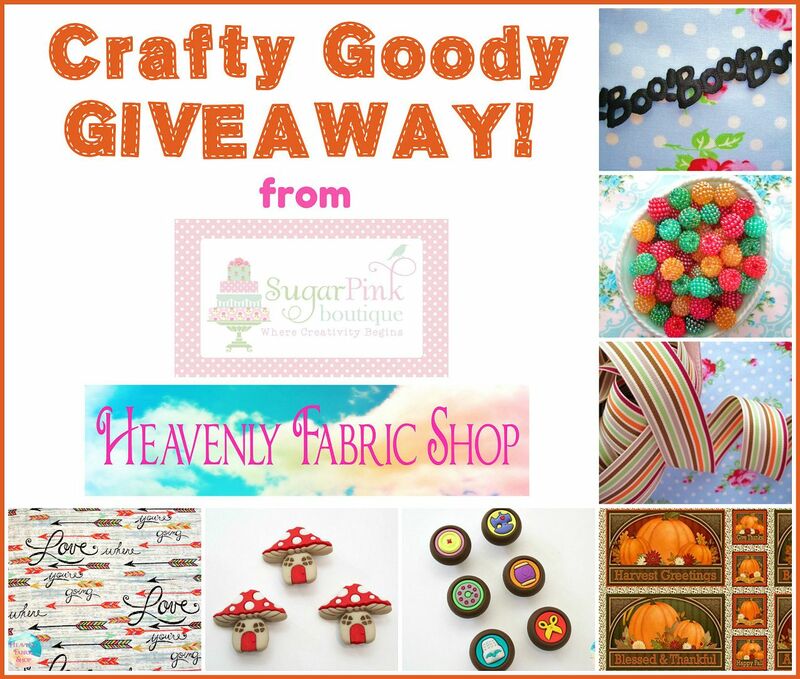 A new season has started and why not celebrate it with a big giveaway for crafty goodies? I've teamed up my new shop, Heavenly Fabric Shop, with my longtime friend & sponsor, Jennifer, from Sugar Pink Boutique to bring a double giveaway of craft & sewing fun: TWO gift certificates to TWO shops! Sugar Pink Boutique is the perfect source for both seasonal and beautiful anytime crafting supplies. 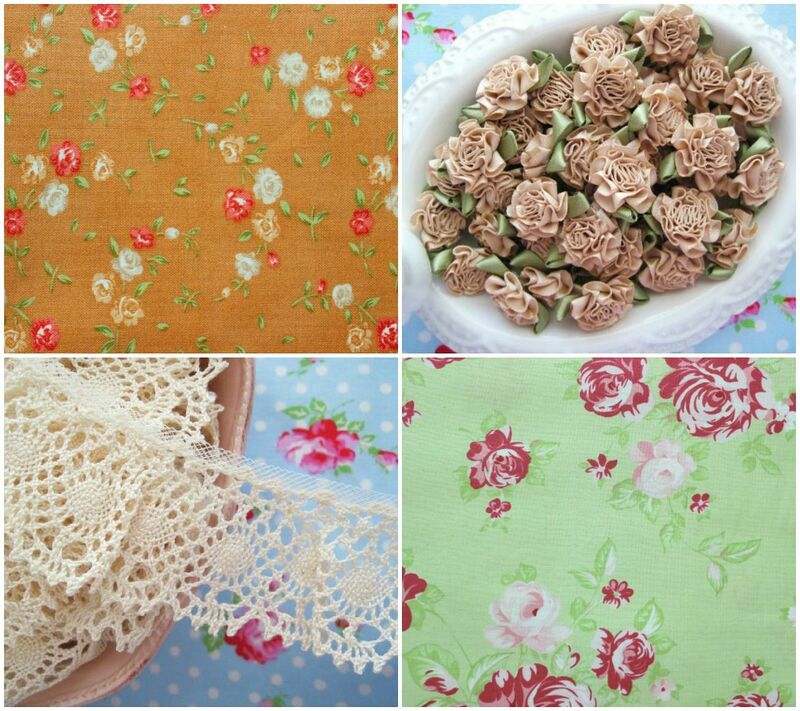 Ribbons, decorative trims, beads, shabby chic fabric & more. 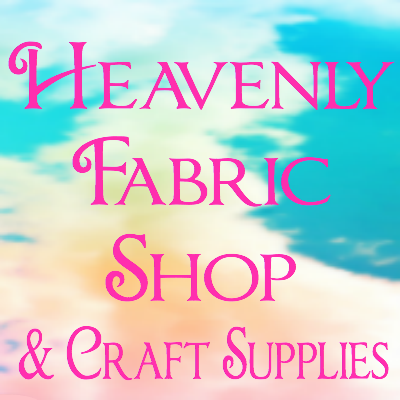 Heavenly Fabric Shop, offers spiritual and inspirational fabrics, notions & unique crafting supplies. 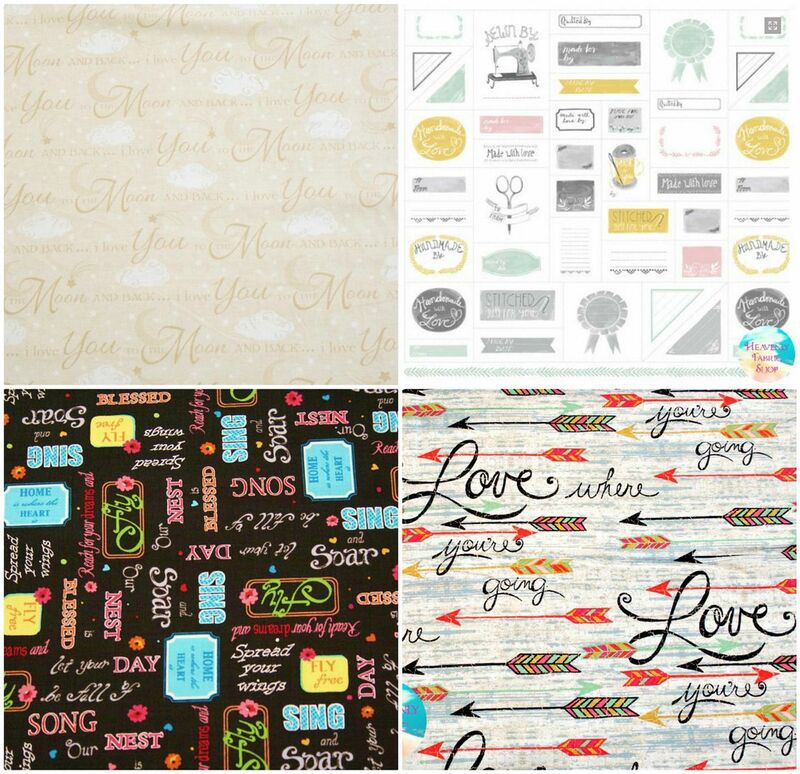 I'd definitely be getting some Tanya Whelan fabrics! Great giveaway, those buttons are simply adorable!!!!!! Sugar Pink Boutique - the pom pom Ric rac! Heavenly Fabric Shop - the stained glass buttons. Both shops have such cute items! Love this Trim;I'd choose this:"Strawberry Red Velvet Ric Rac Trim"! 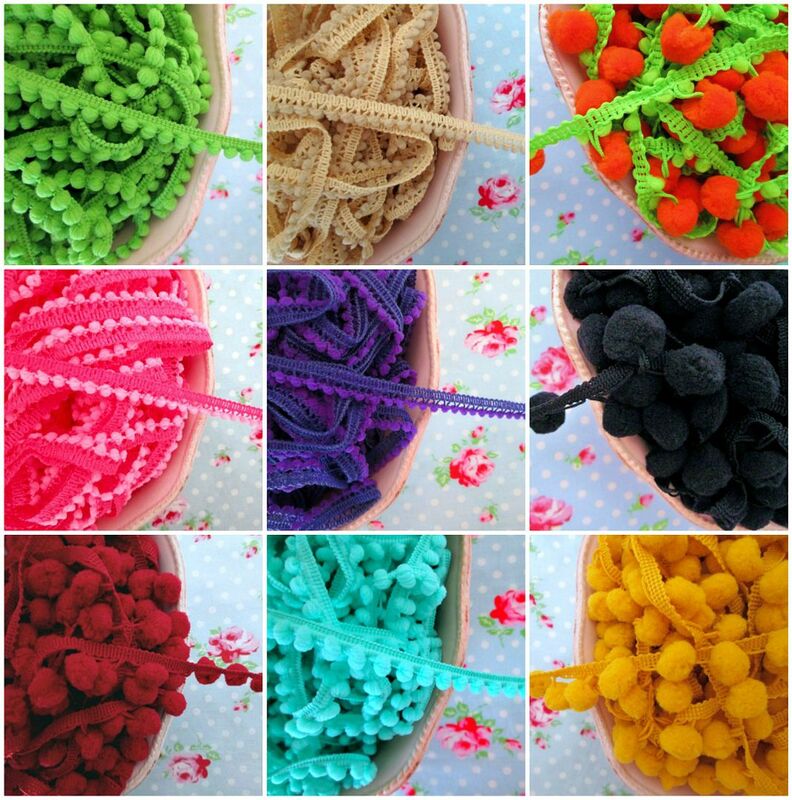 I'd buy some Juicy Grape Petite Pom-Pom Ball FringeTrim and other colors also. I'd buy the My Purrfect Cat Angel Buttons Set and more! At the Heavenly Fabric store I would get the Love Where You're Going Fabric and the Wall Organizers. They have many cute items.I might get the Pomegranate Red Tissue Garland Festooning Fringe if I won. Heavenly Fabric: Trust in You panel, some of the Quilting Treasures in Bethlehem fabric, etc. Fabulous giveaway, BTW. Thank you Cheryl and sponsors! Love the fabrics and lace. Thanks so much for a great give away. I would choose lovely fabric and trims! They are beautiful! I would get some of the wonderful fabric - love the Trust In You Psalms and the Faith Words. 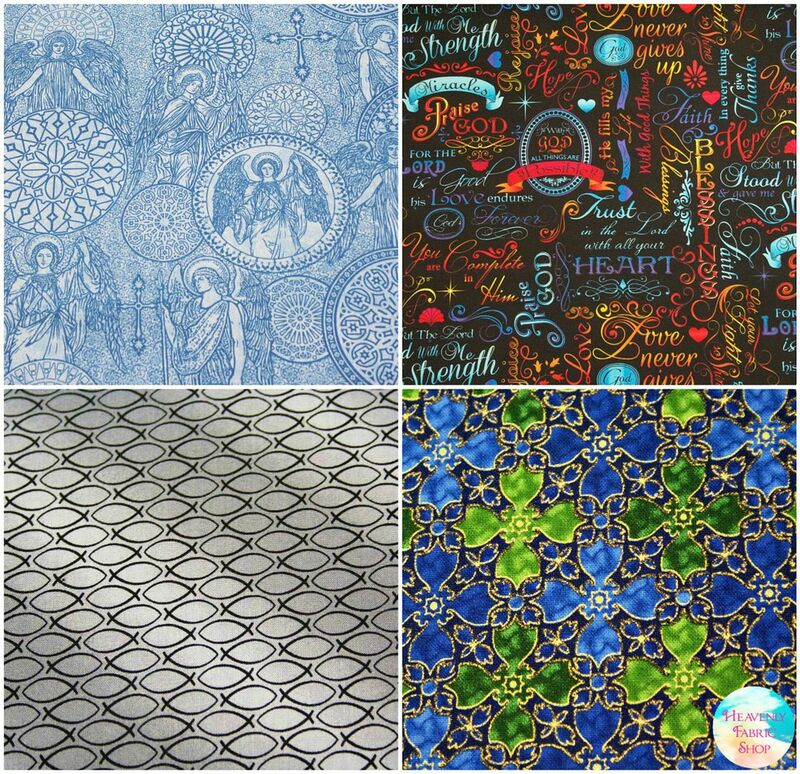 I would choose the angel fabric from Heavenly fabric shop. I would choose fabric and some buttons. I really like the Angel Toss fabric! I can think of several projects I'd use this for! so pretty! I would choose a grab bag of ribbon and trim. With the remainder of the money I would choose some beautiful ribbon. I would choose some of their beautiful fabric and one of their cute button sets. The gold metallic bakers twine. Fabric and buttons and ........ so much to look at and drool over !! :-) Thanks for the chance to win ! WOW, what Wouldn't I get? Much shorter list for sure! I LOVE the candy embellishments & the Dangling Pom-Poms! 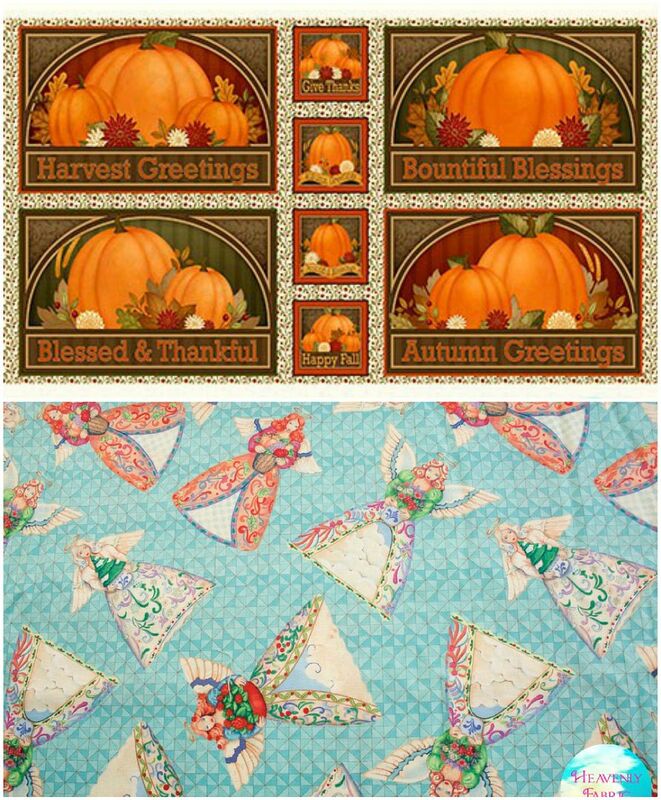 I LOVE the 2 fabrics; Timeless Treasures Inspired Journey Panel & Timeless Treasures Inspired Journey Tossed Words, BUT, everything is SEW cute!!! Such cute stuff! If I won, I'd probably get fabric, but I do love the little trinkets also. 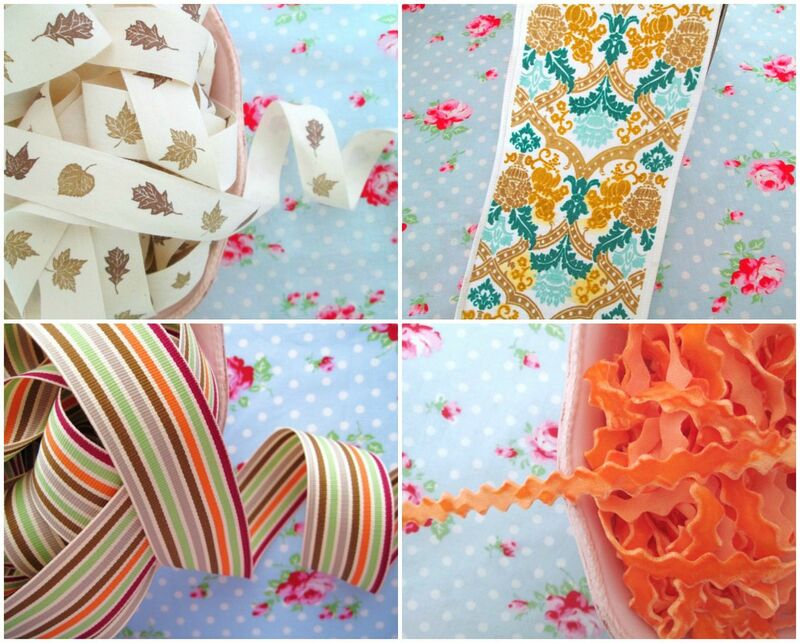 I would get some Autumn Harvest Grosgrain Ribbon! The believe in fairies button set is adorable! I would definitely get some of the Cookies and Cream Pom Pom Ric Rac Trim at Sugar Pink Boutique! I like the Forest Flair Nature Tree and Bluebird Buttons Set at HeavenlyFabricShop. 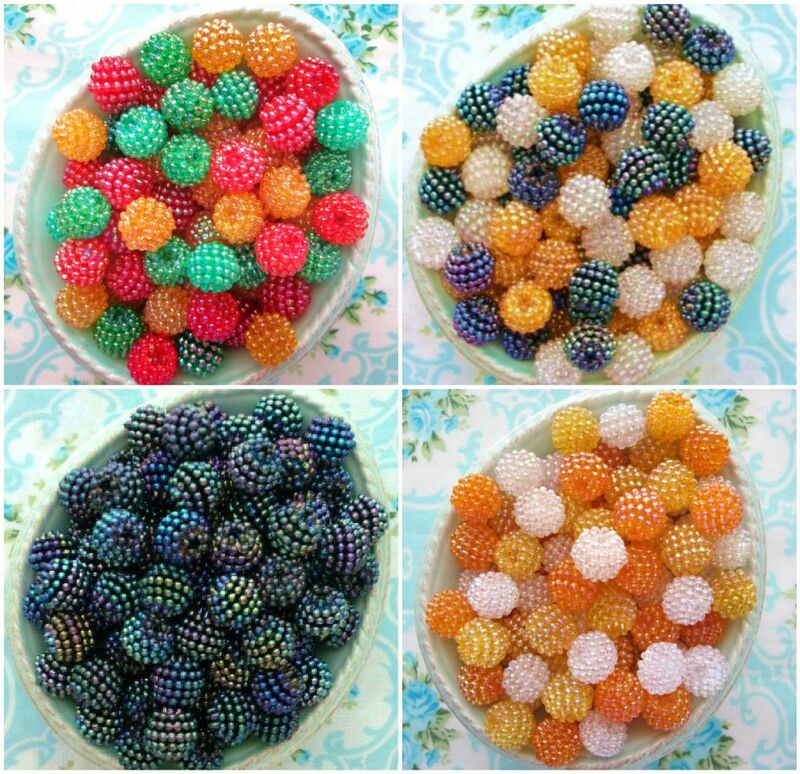 The apple harvest berry basket beads! If I won I would choose the Grab Bag Goodies. The Springs Creative Chalkboard Toss We Will Serve The Lord Cotton Fabric is my choose if I won. I like the Vintage Cream Scalloped lace and many of the ric rac options -- those are what I would choose. So many fun items to choose. I'd start with Children around the world buttons and the stitched with love labels if I won. I would get the Angel Toss fabric. Cream Sheer Swagged Scalloped Edge Lace. I love the Candy and Cupcake sugared ornaments. So cute for making hair bows! Thanks for the giveaway! from sugarpink and maybe the aqua green to! From the heavenly fabric shop. I would get buttons. 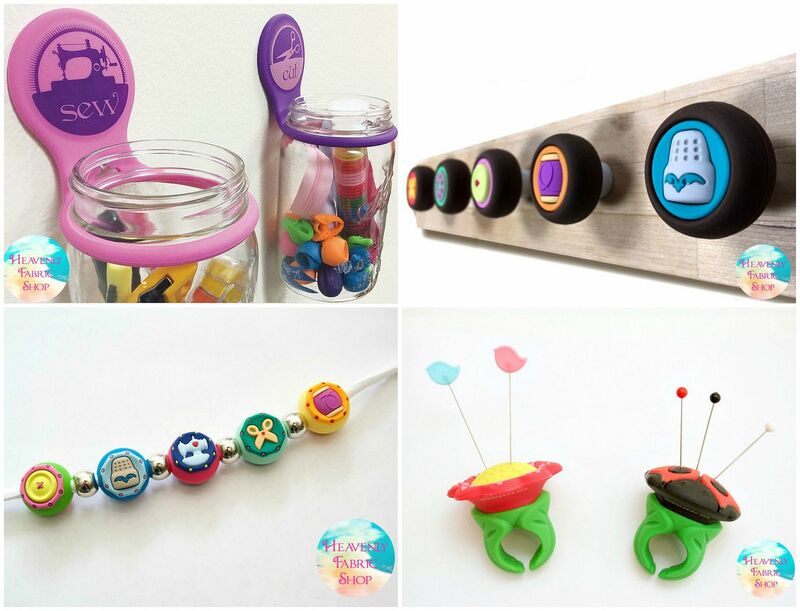 They have got some of the cutest buttons I have seen like their Noahs ark set and Mickey mouse color changing set. I like the Quilting Treasures Heavenly Angel Medallions Toile Blue Cotton Fabric 24570-B the most of all the fine patterns as featured on the Etsy shop page. 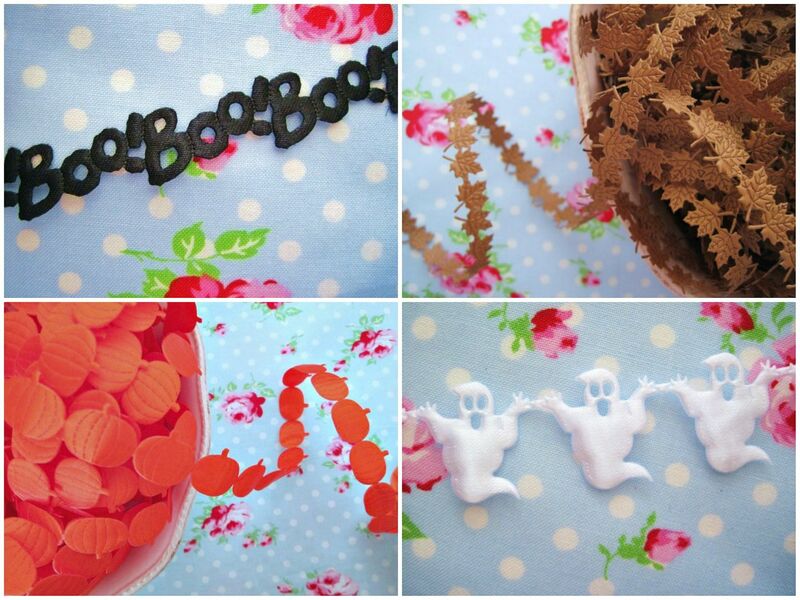 I like the Spooky White Ghost Satin Cut Out Ribbon/Trim as featured on the Sugar Pink Boutique web page.